Dar es Salaam. As 2019 begins today, members of the business community in Tanzania are confident that the issues they have raised will be addressed in their entirety. Implementation of the business environment blueprint, sustaining dialogue between the government and the private sector and ending tax disputes are some of the issues which are expected to open doors for opportunities in 2019. Members of the business community believe that the implementation of the blueprint that was approved by the Cabinet to set the stage for a raft of amendments to laws and regulations governing the conduct of business will officially start this year. “I’m positive that we will participate in implementing the blueprint and its recommendations will be considered in the next budget. This will make Tanzania the easiest country to do business and invest in,” said Tanzania Private Sector Foundation (TPSF) executive director Godfrey Simbeye. Mr Simbeye was also optimistic that new and existing businesses will be operating smoothly as the government is committed to ending tax disputes. “I am happy that the government has intervened in the saga between Tanzania Revenue Authority (TRA) and businesspeople. Previously, TRA was like an enemy to members of the business community but I expect to not witness this in 2019,” he noted. His gratitude goes to President John Magufuli and Minister for Finance and Planning Philip Mpango, who intervened to reform the TRA’s ways of estimating and collecting taxes. “This will actually improve confidence and trust between the government and businesspeople,” he said. Chairman of the CEO Roundtable of Tanzania Sanjay Rughani said that members expect comprehensive dialogue with the government in the implementation of the blueprint and other strategies to ensure a conducive business environment in Tanzania. His optimism is also based on the planned engagement with local and foreign business stakeholders to ensure prosperity. “I don’t expect to see businesses closing due to harsh treatment and tax difficulties as was the case in 2018. I trust the government’s efforts will facilitate business and the private sector,” he noted. The CEO Roundtable also plans to start its apprenticeship programme (CAP) this month to prepare business leaders with 20 trainees. The Confederation of Tanzania Industries (CTI) also stresses the need to start implementing the blueprint which is expected to be a key factor for growth of industries in the country this year. However, CTI’s acting director of policy and advocacy, Mr Akida Mnyenyelwa, reminds the government to repay all VAT refunds and industrial sugar import duty refunds in 2019. He said that until November 2018, the government owed industries about Sh45 billion of industrial sugar import duties and Sh35 billion of VAT refunds. “If the refund payments are made on time, I am positive that the industries will not suffer from capital woes. They will also increase production,” he noted. He also wishes the government continues to improve infrastructures such as, reliable power, road, railways and water. 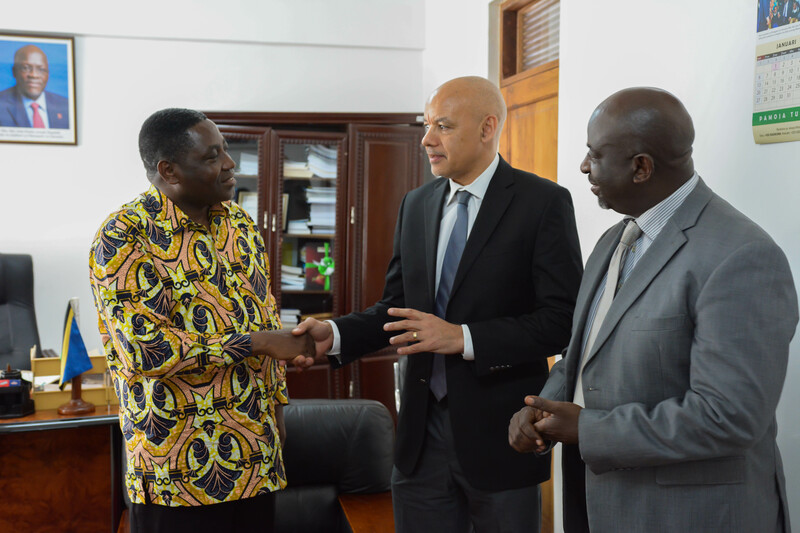 On the other hand, Tanzania Chamber of Minerals and Energy (TCME) executive secretary Gerald Muturi said he’s optimistic that with the revised mining legislation, they are going to see an increase in investments and government revenue from the mining sector. According to him, a number of investors have so far shown interest in investing in construction of smelters and refineries which will not only add value to minerals before they are exported but also create employment. “We still have challenges, though, but we are optimistic that in 2019 the government will continue to provide more clarity in areas of the legislation where more clarification is required,” he noted. He also pointed out some challenges which need quick resolutions such as lack of capacity by the local financial institutions to finance capital intensive long term projects. “But we are optimistic that the government is aware of the challenges and together we can work on resolving them. As a chamber we have been working on a win-win proposal to the government and we hope to present it to the government for consideration in 2019,” he added.